Wedding season is upon us, so it is time to store up on some fabulous wedding cards. 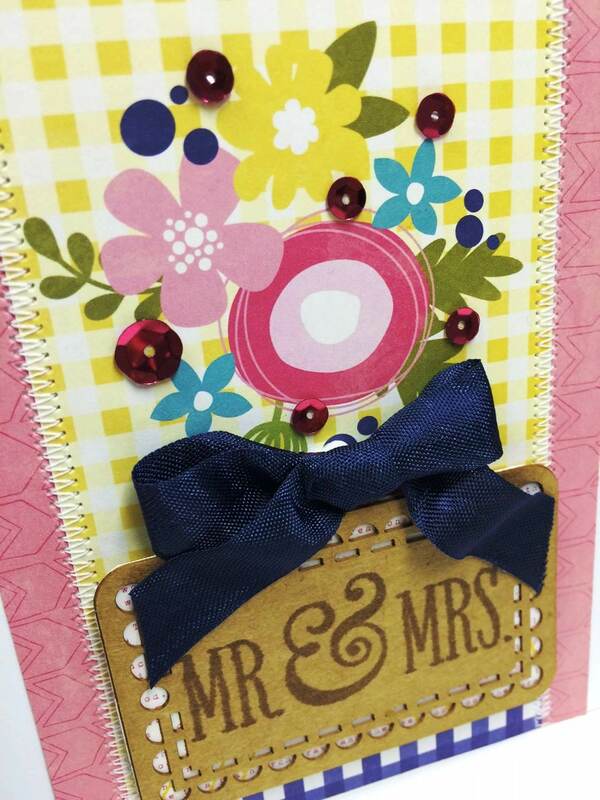 In fact now is a perfect time to create lovely wedding cards using the amazing new Hampton products from the most recent release. I chose a new kraft tag, wood stamp and Jillibean Soup Healthy Hello papers, but there is so much more new products from the latest release available now! 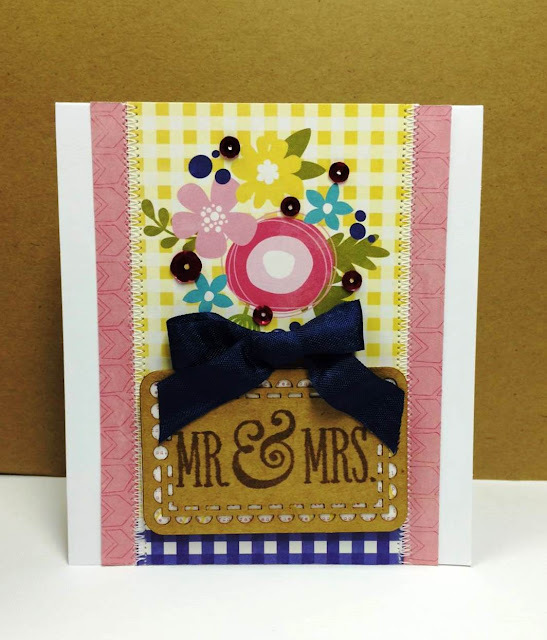 First I started with a crisp white card base and began layering on the scrumptious Healthy Hello papers as shown. The bouquet panel piece is from the Bite Size Bits page and I added some of the new adhesive sequins for bling factor. Once those were in place I used my sewing machine to add the border stitching for some added texture. Next I stamped the Mr. & Mrs. Sentiment onto the kraft tag using brown ink. I used some Bite of Bonjour paper as a backer and then I added the tag to the card with 3D pop up foam dots. Last I added a silk crepe navy ribbon bow. I really love how this one came together. The new tags by Hampton Art are really worth looking for, there are so many different shapes, colors and textures- you are going to love them!